HOUSTON (KTRK) -- There's a major traffic alert on the east side of the viewing area. 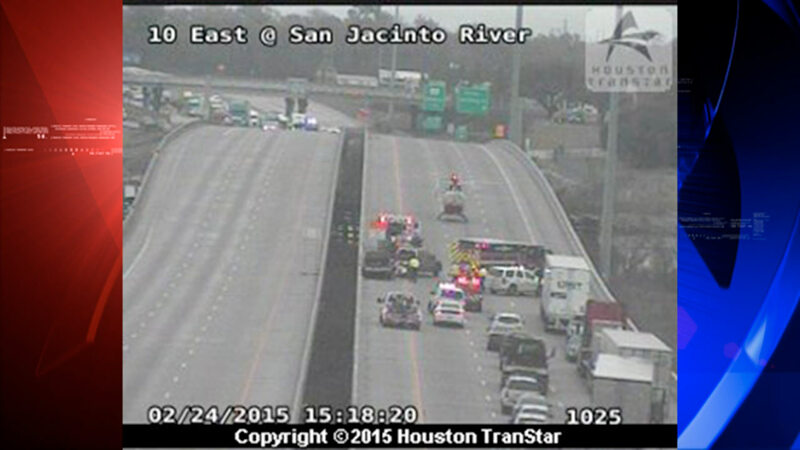 I-10 East is closed in both directions at the San Jacinto River due to a wreck. We don't have details of the accident, but have learned that Life Flight has responded. As soon as we get more details, we'll post more here.